What role did German women play in rubble clearing after the Second World War? Having inflicted ‘the Blitz’ on Britain’s civilians in the early years of the Second World War, Germans did not escape the same fate. In devastating raids on German towns and cities, countless civilians lost their lives. Homes, factories and infrastructure were destroyed on an unimaginable scale, and in May 1945, when Germany was finally defeated, large part of the country were laid to waste. In May 1945, Germany’s cities were buried under an estimated 400 million cubic metres of rubble. To give you an idea of the scale of this, if the rubble had been piled up on an area roughly the size of ten football pitches, this mountain would be as tall as the Montblanc, its summit permanently covered in snow. In Hamburg, for example, which had suffered devastating attacks in July 1943, fifty per cent of the city's housing stock was completely destroyed, and only about 25 percent remained undamaged. After the war, one of Hamburg's main challenges was to remove about 43 million cubic meters of rubble. Dresden, iconic for the destruction of its historic city centre in February 1945, faced a similar challenge, and this experience was repeated all over Germany. As these pictures reveal, clearing the rubble and rebuilding these cities was a momentous task, and it would take many years to accomplish. Looking back on that destruction from today’s prosperous Federal Republic, Germans marvel at this momentous task of rebuilding. How did the new Germany re-emerge from the rubble? For many, the answer lies partly in the near super-human effort of Germany’s women who – in the absence of men, and as an act of great selflessness - cleared the rubble and helped to rebuild post-war Germany. Images of women cheerfully clearing rubble, often with their bare hands, are iconic and provide a shorthand for this popular interpretation, and they are part of a national memory of the immediate post-war years. In media portrayals and popular perception, German women are depicted as having shouldered much of this burden. In public discourse their self-sacrifice has been invoked countless times. To Germans having to deal with the horrors inflicted upon Europe by the Nazi regime, they offer a positive and proud memory and founding myth for the new post-war German states. Often invoked, in very different contexts, they provide a shorthand narrative of German resilience either side of the Iron Curtain. The ubiquitous images of women working with their bare hands moving rubble seem to tell a straightforward story. In 2005, former German Chancellor Helmuth Kohl summed up the predominant view of the contribution made by German women. He stressed that ‘a generation of women – and that applies to everywhere in Germany – [had] made the country great again.’ Kohl’s speech encapsulates the memory of the heroic, voluntary effort made by German women, emphasising the shared experience across all parts of Germany. However, the memory does not stand up to scrutiny, as recent research by German historians has shown (see note 1 at end of article). For a start, rubble clearing was not altruistic or voluntary. In fact, it was initially a punishment. During the war, prisoners, forced labourers (including some non-German women), and concentration camp inmates had been forced to clear rubble – often in dangerous conditions. 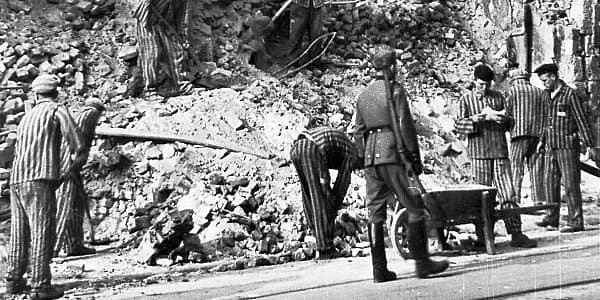 And in the immediate aftermath of the war, the Allies made German prisoners of war and former Nazi Party members move rubble as punishment. This included female NSDAP members. Thus, at least during and immediately after the war, clearing rubble had no positive connotations. It was not a heroic deed, but a punishment, and Germans clearly regarded it as such. After the war, rubble clearing was also demanded of the unemployed in return for food rations. This was an experience widely shared across all of Germany, but different approaches developed in Eastern and Western zones of occupation. In the Soviet Zone of Occupation in the East, unemployed women and men were required to do this work, and due to lack of men, for a short while women formed the majority of this workforce. In the West, unemployed women were only used for rubble clearing in the British zone of occupation, and only in small numbers. In what would become West Germany, the prevailing view was that this type of dangerous, hard work was not suitable for women. As soon as it was practicable, the authorities here favoured a move back to ‘womanly’ work and ideally a return to the home, leaving the heavy work of rubble clearing to men and to machines. Copyright: STADTARCHIV FREIBRUG I. BR Early photographs of women clearing rubble are likely to show women who had been forced into this work, as punishment or through economic circumstances – rubble clearing entitled women in West Germany to additional rations, usually only allocated to heavy workers, and could save the lives of their families. Or, as in this image which I used above to illustrate Helmut Kohl’s version of German rubble women, they might depict women working in completely different circumstances. This image is of university students in Freiburg who were required to clear rubble in order to be allowed to register for their studies. So while these young women did indeed clear rubble, they did not do so for altruistic reasons. These are not the women of Kohl’s recollections, or of German national memory. Increasingly, the West German population was also invited to volunteer for this task. However, most appeals were directed only at German men. Across West-Germany, the population was asked to donate a small number of days to this clearing-up effort (with much media campaigning to make this a palatable proposition). But – contrary to what Germans collectively remember - public appeals were not generally met with much enthusiasm by women. For example, in a voluntary recruitment drive in Duisburg in the West German industrial Ruhr-area in December 1945, 10,550 men volunteered – and 50 women. Such evidence suggests that when they were not compelled to do so, German women did not volunteer in great numbers. Overall, women did not play a major role in rubble clearing; rather, they were in a minority. Men and - increasingly - machines cleared Germany from the rubble – at least in West Germany. However, the picture is complicated by the fact that Germany was divided. Whether or not German women cleared rubble, for how long, and how their work was valued by the state was determined by which side of the border they found themselves. The divided city of Berlin was a special case. Here, large numbers of women did clear rubble - about 26,000 women in total, and the term Trümmerfrauen originated in West Berlin. This large number was due to the fact that women far outnumbered men in Berlin – in the age group 20-39, there were 250,000 men and 500,000 women in Berlin in 1947. This effort was commemorated in West Berlin with a sculpture depicting the effort of West German women, erected in 1954. However, as the German historian Leonie Treber who established these figures has argued, 26,000 is only about five per cent of the total number of women in this age group (see note 2). While this was not a negligible number, these figures do not support the notion that most German women in Berlin cleared rubble. And while this was the picture in Berlin, it was not an experience that was repeated across Germany. In fact, outside of Berlin, women’s experience differed significantly in East and West Germany. In the Soviet Zone and later GDR, women were expected to work alongside men as Aufbauhelfer (reconstruction helpers) in clearing rubble and rebuilding the new Socialist state; the term Trümmerfrau was not used here. The authorities promoted a positive image of the working women, which fitted well with the ideal of the Socialist woman. In this poster, for example, women are depicted as rebuilding, side by side with men, the new Socialist Germany. The emphasis here is on ‘everyone’ helping to rebuild Berlin. Copyright free: Public domain GDR 1952 poster: "Every German patriot helps with the rebuilding of Berlin"
By comparing these two statues you can see clearly the different ways in which the two parts of Berlin chose to remember the efforts of these women, reflecting their different ideologies and the very different roles that women were seen to play in society. The West German statue reflects a rubble woman who has done her hard work dutifully and whose work is now done. She has assumed a ‘traditional’ female pose, recovering from her hard work, while the East German reconstruction worker looks purposefully forward towards more heroic deeds rebuilding the new Germany. While in East Germany rubble clearing played to the new Socialist agenda, with women working towards the future posterity of the new German state alongside men in all walks of life, in West Germany and West Berlin, women were expected to return to their traditional roles in the home. Chipping mortar from bricks and the hard physical and often dangerous work of rubble clearing was not regarded as a proper womanly pursuit, and the authorities were keen to stop even the few women who did clear rubble from doing this as soon as possible. All this begs an obvious question: if – at least in West Germany - not many women actually did this kind of work (voluntarily or otherwise), and if clearing rubble was not an all-German phenomenon, why do most Germans believe that Trümmerfrauen played a significant part in rebuilding Germany? The answer adds yet more complexity to this story of two German experiences and memories. In both places, there was an active construction of the myth of women’s roles in reconstructing Germany after the war – in different ways and at different times. In East Germany, women’s post-war effort was part of the positive narration of women’s role in building the new state which was remembered and commemorated throughout GDR history and formed part of a collective memory of the rebuilding of Germany into a Socialist state. In West Germany, Berlin’s Trümmerfrauen were acknowledged and celebrated in the early years of the Federal Republic. In 1952, some were given the highest honour of the Bundesverdienstkreuz (Order of merit of the Federal Republic of Germany), and, as we have seen, in 1954 a statue was erected to commemorate their work. But soon they were largely forgotten. After the early 1950s, Trümmerfrauen did not feature in public discourse - unless in a negative context, when pitying East German women who were forced to engage in such ‘unwomanly’ work. Clearing rubble did not lose its associations of punishment and economic exploitation in the West for several decades. Trümmerfrauen were only rediscovered (one might even say invented) in West Germany in the 1980s – a result of a new focus on women’s history on the one hand, and the demands of older generations for pension rights on the other. Once their tale of selflessness and victimhood was born, they soon became a comforting founding myth and a national memory in West Germany. By the time the two Germanies re-unified in 1990, a shared historical memory had developed that both sides could agree on, as all Germans now thought that German women had played a decisive role in re-building the country in all of Germany. Helmuth Kohl’s image of his mother’s generation reflected memories which everyone shared, even if some of that generation had been forced by societal expectations to fulfil these selfless tasks while others had ostensibly done so voluntarily. By the end of the century, rubble women had become a positive founding myth amidst a lot of contested and uncomfortable twentieth-century German history. This myth was so successful that historians who published research which questioned it found themselves at the heart of a huge public debate which did not shy away from personal insults directed at young German historians like Leonie Treber, who has been accused by those who ‘remember’ a generation of German women’s selflessness of besmirching her own nest. The controversy around myths and realities of the German rubble women offers a fascinating insight into public memory in Germany and shows how many decades after the Second World War, the relationship of today’s Germans with their recent history remains fraught and contested. In particular, the work of Leonie Treber, Mythos Trümmerfrauen, Essen 2015; Marita Krauss (ed. ), Sie waren dabei. Mitläuferinnen, Nutznießerinnen, Täterinnen im Nationalsozialismus, Göttingen 2008; and Nicole Kramer, Volksgenossinnen an der Heimatfront. Mobilisierung, Verhalten, Erinnerung, Göttingen 2011. Leonie Treber, Mythos Trümmerfrauen, Essen 2015, pp.38-40. During the blitz over four hundred and fifty thousand bombs rained down on Britain - how did they shape our future? Hear from one of the producers of 'Blitz: The Bombs That Changed Britain', Emily Thompson, on how the production team did their research. 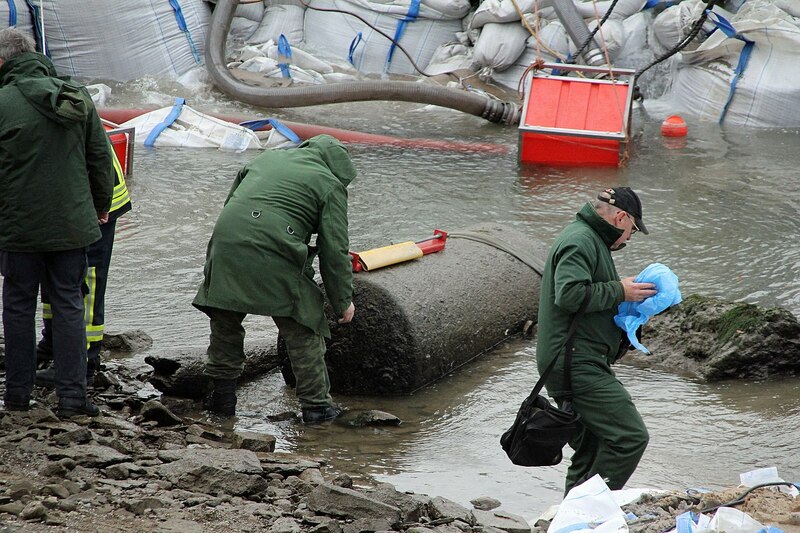 There are between 135,000 and 270,000 tons of unexploded bombs from the Second World War remaining in Germany’s soil. Professor Annika Mombauer looks at the consequences these "hidden bombs" have on the country and its inhabitants. This free course, War memorials and commemoration, gives you the opportunity to practise good study techniques using the theme of commemoration and memorials. It will help you to begin to think about how form influences meaning in the arts and how ideas influence approaches to the humanities.